We’re a family owned business serving the region since 1983, using the freshest ideas and quality ingredients, and perfectly blending them to your taste. Think of the difference between home cooking or fast food and you’ll understand why so many people prefer Elite Kitchens to big box stores and other kitchen showrooms. Designing and Installing custom cabinetry, millwork and Architectural details for the entire home. 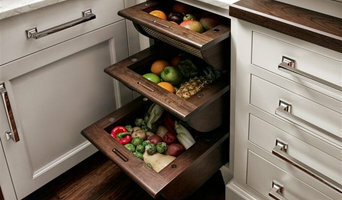 ESTATE CABINETRY offers an unmatched level of quality and craftsmanship at price points to suit every budget. Working side-by-side with homeowners, contractors, interior designers, and architects, we are committed to offering excellent design and service. Estate offers an array of product lines from top vendors: from kitchens to bathrooms; from modern to traditional; from stock cabinetry, available in as little as 7 days, to custom cabinetry. Estate also offers many unique design features, including a custom paint program, allowing you to personalize your next project, making it uniquely yours. 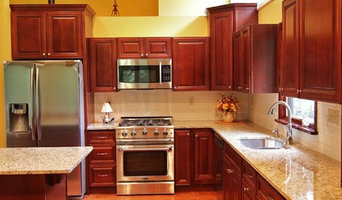 Trust Estate Cabinetry with your next kitchen or bathroom cabinetry project. We're an Interior Design firm practicing all facets of Residential Design since 2014. Each project brings a new aspiration with its own unique hallmark; from traditional to contemporary Kenzie & Cline is committed to bringing each clients vision for their home a reality. A hands-on, attention to detail approach while overseeing each project from conception to completion has earned us top customer satisfaction ratings. We are based in Ridgefield, CT and are available by appointment only. Welcome to Keeler Concepts by Design Robyn Keeler, the principal of Keeler Concepts by Design, offers a full spectrum of design services and materials from the initial meeting at the site or with new construction plans with a detailed interview right down to finding the perfect drawer pulls for your new cabinetry. Robyn will help establish budget, suggest cabinetry style, fixture placement, traffic flow, finish selections and mechanical considerations. All the above are taken into account to develop a final plan presented with hand drawn floor plans, elevations and perspective drawings. Drum Hill Designs is a full service design studio, offering the best in design and skill to make your ideas become a reality. Drum Hill Designs offers distinctive design, the highest quality products, and superior customer service. With over 20 years experience, our team of professionals can help you create a beautiful room of your own, making it your kitchen, with your style, your color, your finish. Whether your project involves a kitchen, a master bath suite, an entertainment or media room, library or office space, Drum Hill Designs can help make it your dream room. With Drum Hill Designs it is not just a possibility but a reality. We are a full service design firm offering our clients the unique opportunity to work with one designer on everything from conception to construction. 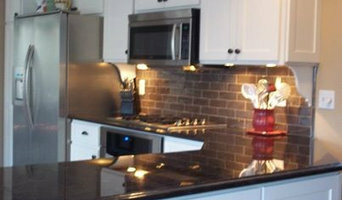 Whether you are building a new home, remodeling existing, planning an addition or updating a kitchen or bathroom. we are there to guide you every step of the way. Working for you allows us to look out for your best interests as we work alongside your architect and/or contractor to ensure every detail we took the time to create is carried out without incurring extra time or cost. Cusato Management Corp. creates classically-conceived, elegant living spaces for sophisticated urban and suburban lifestyles. Our homes reflect a unique blend of sound and creative architecture, elegant yet understated design, superior construction materials, and fine craftsmanship. No detail is overlooked as we orchestrate the development process to create homes in complete harmony with their settings. We begin our development process by critically analyzing the property to determine how the new home will fulfill the potential for a particular location. This process may result in either the demolition or renovation of the existing structure. Then, working closely with the commissioned architect, we begin the design process, going through multiple drafts of blueprints to develop a design that is original and functional, and at the same time elegant and slightly dramatic. The fundamental principle of our design process is that each location and each home is unique. There is no standard design for Cusato Management Corp.. Rather, there are common themes of quality of construction and attention to detail. Once we begin the actual construction, we continuously analyze each room with a critical eye for the appropriate level of architectural detail. It is only as each room unfolds, and we truly understand the view from each window and doorway and the flow from room to room, that we can supplement the blueprints with the details that will make each room unique with architectural integrity. Throughout the process, we spend a great deal of time making sure that even though our homes include the most up-to-date technology that they are still reminiscent of an older, simpler and more classic age. 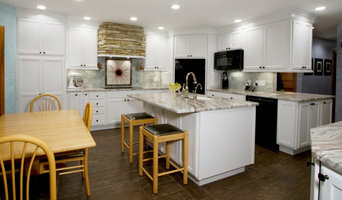 I am an independent designer, specializing in fitted cabinetry, residential and green design. 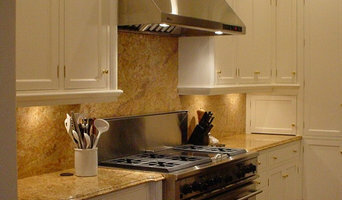 The designs I create are intended to make your life easier, more enjoyable and as aesthetically pleasing as possible. Whether you are looking for a design that is Early American, Ultra Modern or anything in between I will work with you to create a space you will look forward to working in and calling your own. And no worries about staying ahead of the design curve, because that is already covered. From studying new and fresh design trends, staying up to date with appliances and fixtures and keeping pace with any new legislation my expertise assures you that your project will be as up to date as possible. Your location is not an issue either. While being based in the Hudson Valley region of New York, my projects have been local and as far, ranging from Miami, Florida to Jamestown, Rhode Island. Visit my website, browse my page and feel free to contact me. I believe you will notice the difference with bruyn designed.